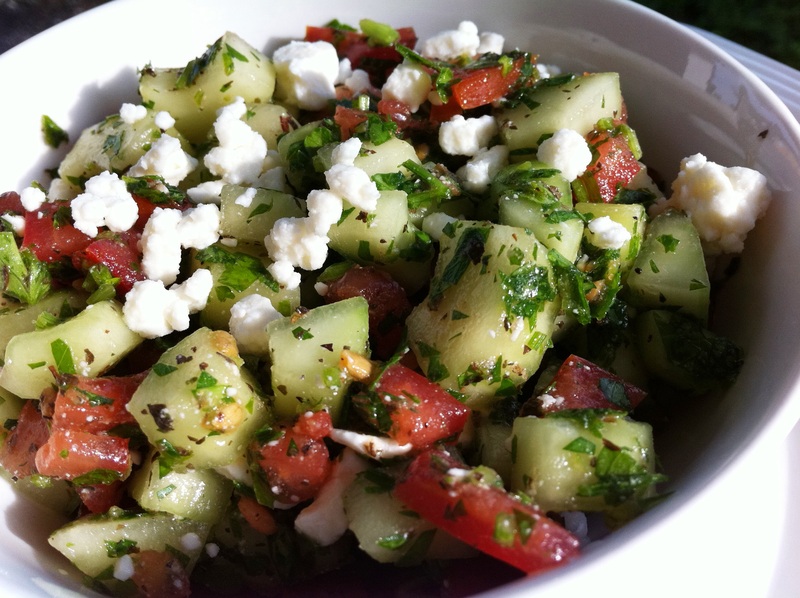 Traditional Israeli Salad is a family staple in the Middle East. Prepared with fresh vegetables and herbs, it is a light and refreshing meal on a hot summer day. Friends from countries around the globe have taught us that everybody eats salad, but every region has its own special variety based on what produce is grown there. Our friend Amit grew up in Israel and this is a traditional recipe that she remembers her mother making frequently for her family. Great on its own, it is especially delish when paired with Hummus!